Women of the Sparrow family have unusual gifts. Elinor can detect falsehood. Her daughter, Jenny, can see people's dreams when they sleep. Granddaughter Stella has a mental window to the future - a future that she might not want to see. 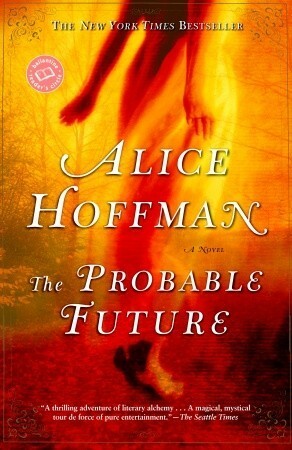 In Alice Hoffman's latest tour de force, this vivid and intriguing cast of characters confronts a haunting past - and a very current murder - against the evocative backdrop of small-town New England. By turns chilling and enchanting, The Probable Future chronicles the Sparrows' legacy as young Stella struggles to cope with her disturbing clairvoyance. Her potential to ruin or redeem becomes unbearable when one of her premonitions puts her father in jail, wrongly accused of homicide. Yet this ordeal also leads Stella to the grandmother she was forbidden to meet, and to an historic family home full of talismans from her ancestors. I was a bit daunted by the idea of listening to 10 CDs and was a bit bored by the first CD; it seemed very descriptive and the characters didn't really grab me. However, from the beginning of the 2nd CD onwards, I was completely captivated and couldn't wait to see what would happen. It is really interesting, a good story well told, and which really made me think and even cry near the end. I would absolutely recommend this book! And may even consider reading it as well at some point in the future! I thought this was one of her better works along the lines of Practical Magic. The story was about the Sparrow women yes, but it also had to do with the individuals around the Sparrow women, each with their own fralties and issues. I enjoyed the story very much. I kept waiting for the story to begin. Tons and tons of description and very little happening with the plot. There was supposedly some big secret about someone named Rebecca. I listened to all 10 tapes and never got the significance of that. It was just some little side story that never amounted to much. I kept wishing the story would end so I could go on to something else.